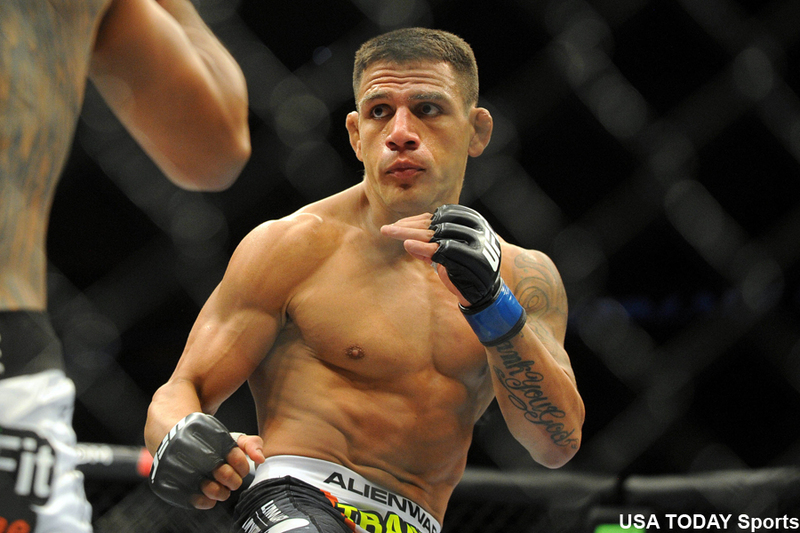 Raphael dos Anjos (pictured) entered Saturday’s scrap against Nate Diaz as the UFC’s third ranked lightweight, and he showed why. Diaz finally ended his yearlong holdout at UFC on FOX 13, and it showed. Dos Anjos destroyed Diaz during their entire 15-minute affair to cruise to a (30-26, 30-26, 30-27) unanimous decision win. Because top contender Khabib Nurmagomedov is hurt, UFC president Dana White said dos Anjos will get next crack at reigning champion Anthony Pettis.